We look forward to seeing you at this beloved, community event! We are grateful for the collaborations with community sponsors, restaurant donors and celebrity servers who help make this a special event for all of you who attend. We look forward to seeing you at Embassy Suites on Tuesday, May 28, beginning at 11 a.m.! Each ticket purchase includes admission to the event, soup, and a handcrafted, original pottery bowl, courtesy of Down Under Pottery. 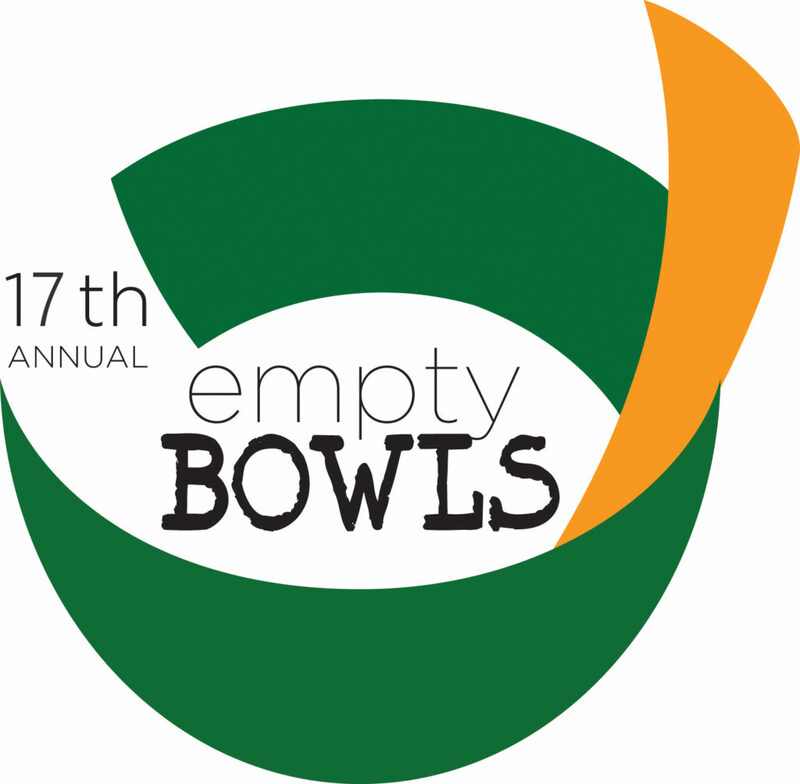 All online ticket purchases for Empty Bowls made on or after Wednesday, May 23 will not be mailed. However, they can be picked up at the Welcome/Will-call table a half hour before the event is scheduled to begin. This event supports our programs, which allow us to feed the hungry citizens of our community and service area. Each person attending leaves with a hand-crafted stoneware bowl of their choosing from Down Under Pottery. The empty bowls symbolize the bowls our community has filled over the years–and the bowls that still need filling.